Ansett New Zealand Regional was the new name for the two remaining airlines that had previously operated under the Tranzair name in association with Ansett New Zealand on a franchise basis. On the 29th of February 1996 Tranzair became Ansett New Zealand Regional and Rex Aviation's Bandeirantes and Northern Commuter Airlines' aircraft were rebranded accordingly. In October 1998 Air National introduced a British Aerospace J32EP Jetstream, ZK-ECN (c/n 967) to its fleet. The aircraft was named “City of Rotorua” and began operating Auckland-Rotorua flights on behalf of Ansett New Zealand Regional. It was never painted in Ansett New Zealand Regional colours. It continued to do this until Ansett NZ was taken over by Qantas. The Northern Commuter Airlines operation of Ansett New Zealand Regional services was shortlived. On the the 3rd of November 1996 the Whakatane-Auckland service was withdrawn and this marked the end of Northern Commuter Airlines involvement in the franchise with the Whangarei service being taken over entirely by Rex Aviation Bandeirantes. There was no immediate change after the Rex Aviation fleet was branded as Ansett New Zealand Regional but on the the 3rd of November 1996 the Whakatane-Auckland service was withdrawn. This is was followed by the withdrawal of the the Whangarei-Auckland service on the 1st of August 1998. 1999 saw the replacement of the Bandeirante fleet with three British Aerospace Jetstream 32s. On the 23rd of March 2000, News Corp. Ltd. sold Ansett New Zealand and Rex Aviation to New Zealand consortium Tasman Pacific Group. The Ansett New Zealand Regional fleet of Jetstreams that were operated by Rex Aviation were subsequently repainted in Tasman Pacific Connection’s colour scheme from the 4th of September 2000. Waterwings Airways was not formally part of Ansett NZ Regional but operated flights connecting Kaikoura to Ansett New Zealand's services to and from Christchurch around 1995 using a Piper Aztec and a Piper Seneca. 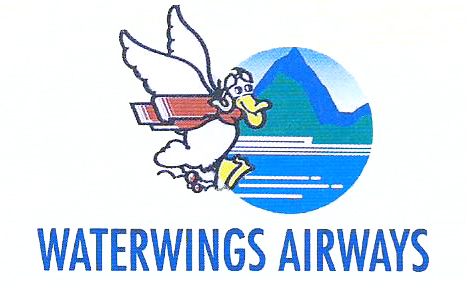 Waterwings Airways was not formally part of Tranzair but operated flights connecting Te Anau and Milford Sound to Ansett New Zealand's services to and from Queenstown from 1987 to 1998. Cessna and GAF Nomad aircraft were used.